We have just added on points to our DVC membership at Old Key West. This has prompted some questions about my thoughts on buying directly from Disney or buying on the resale market. Up until recently I would have said “there is no difference” and as far as how members were treated by Disney, there wasn’t. But March 2011 that changed. Since I was already an owner at Old Key West, I wanted all my points eligible to be used anywhere I wanted to make a reservation. For that reason I purchased points directly from Disney Vacation Development. I am a member of DVCTALK on Yahoo! Groups. It is sponsored by Shontell Crawford at www.DVCbyResale.com and several of the DVCTALK members have purchased from her. The people who have purchased through her speak highly of her and her service. There are several places on line that sale DVC points now and you can do a quick Google search and find them. Points purchased through resale are typically cheaper than those purchased from Disney. If the restrictions Disney is placing on resale’s are not important to you, then this may be a lower cost option. But don’t purchase a resale and think you are going to close quickly. All contracts have to go to Disney as they have the Right of First Refusal on all sales. Disney can approve the sale or if the price is too low, Disney will buy the contract. If Disney needs the points for a resale they are doing, they will buy the contract. You can be left with nothing and have to find another resale. Either way the process is not quick. For me Disney was able to find exactly what I wanted to add on. The process was quick and easy. Disney FedEx’ed the contract along with DVC member information for us to sign and return. They in turn sent the documents to Amy to sign (we have Amy and Chris on our DVC membership). The points showed up on line on our membership on www.dvcmembers.com (DVC members only website - sorry - but you can go to the official site by clicking here.) by the time we received the paperwork to sign. They added 100 points to our membership for this use year so we booked a trip. We are headed to Hilton Head Island. 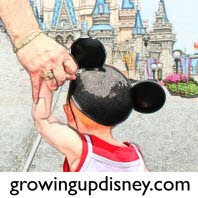 Thanks Diane for your great post on the Disney Hilton Head Resort to inspire us for this trip (see her post here http://www.growingupdisney.com/2011/09/guest-post-dvc-hilton-head-little.html ) Can’t wait to do a post of Hilton Head in January.